I wonder if Woody Allen ever hitched a ride in that auto and got his cue. Or what the auto-wallah’s reaction would be if he sees Allen’s latest offering, To Rome With Love, where the proverbial thief meets the proverbial girl. Will the Real Woody Please Stand Up? Without spilling the beans, suffice to say that Allen scoops up everyday unpredictable characters and visitors (including his good old cynical self) from the streets of Rome, adds his trademark ingredients of wit, humor, theatrics, absurdity, and even some comic relief through opera to give us a joie de vivre almost six decades since his inception into films. Phew! That’s some achievement ol’ man. While Woody, as always, impresses with his impeccable writing, movie star Luca Salta impresses newlywed Antonio’s (Alessandro Tiberi) wife Mily with his star appeal, all the while nurturing insidious motives. 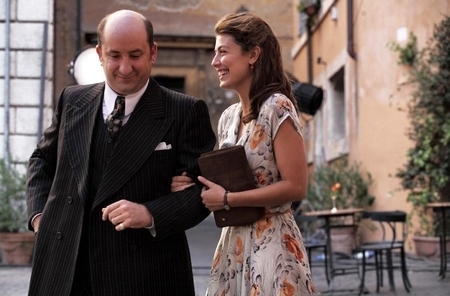 Antonio, in the meanwhile, is stuck with prostitute Anna (a delicious Penélope Cruz) in a case of mistaken identity. And then there’s the absurd dig at reality TV when a commoner, Leopold (Roberto Benigni), becomes an overnight celebrity. The absurdity doesn’t stop there: when John (Alec Baldwin) meets Jack (Jesse Eisenberg from The Social Network), and slowly becomes John’s conscience, materializing and dematerializing at whim, the absurdity hits you comically, and in a strange mix of the present revisiting the past it seems like Jack is probably reminiscing his younger years in Rome. There’s cheating, there’s guilt; there’s pseudo-intellectuality and loads of wit. And then there’s the return of Woody Allen’s avatar as an actor. Yep, Woody’s back doing his dig on death, claustrophobia, intelligence (or the lack of it), psychoanalysis, communism and what not. As an actor, at 76, he’s still the child he was–natural, innocent and effortless. Come to think of it, not one but many Woody’s mirror all over the film in his characterizations: Leopold, Antonio, and even Jack. Their body language, the way they dress, their anxieties and their restlessness, all reflect the subconscious of Woody in more ways than one. For me though, it’s Italian face Alessandra Mastronardi as the seemingly timid wife Mily who steals the show. Her unkempt, undone hair; her careless ways, her innocent charm add a certain je ne sais quoi to her character. And yes, she’s the proverbial girl mentioned earlier in this review. I ain’t single, but ready to mingle! Unlike Woody’s recent films, this one doesn’t end as absurdly as it starts and charts a clear path on where the characters end up finally: SCREWED. Some literally, some figuratively, and the rest both ways. Read David’s interesting spin on Woody’s magic. 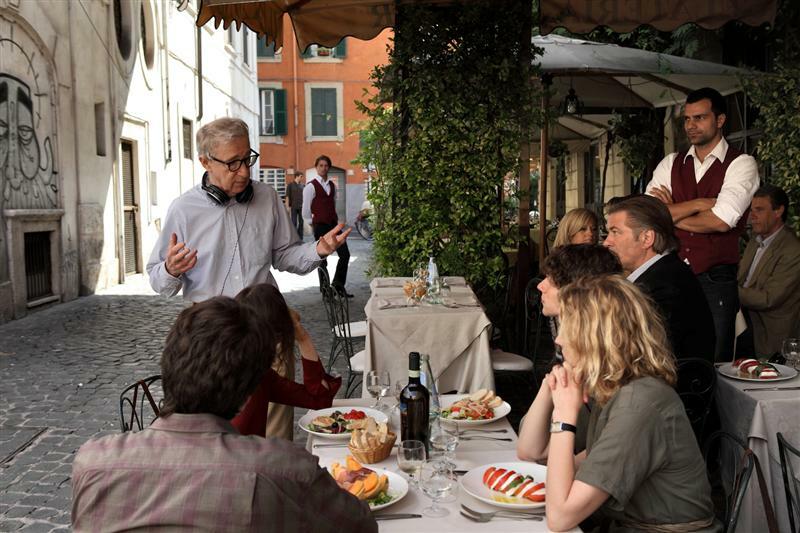 Tags: Absurdity, Alec Baldwin, Alessandra Mastronardi, Jesse Eisenberg, Penélope Cruz, To Rome With Love, woody allen. Bookmark the permalink.